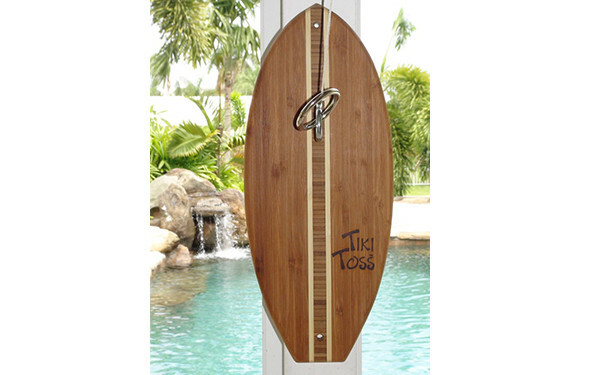 Tiki Toss is fun for adults and kids- indoors our outside! Are you trying to add a little extra fun to your pool this year? 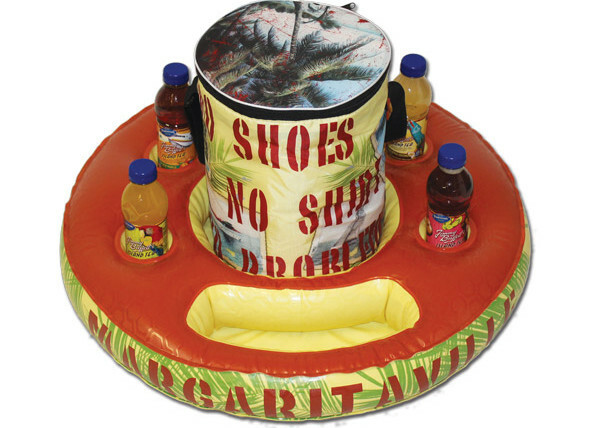 At Aqua Leisure Pools, we carry several pool toys and floats from trusted brands that will surely be a splash in your backyard, and today we wanted to highlight a few of our favorites! We have to admit that we’re in love with the Tiki Toss by Mellow Militia! This classic hook-and-ring game is crafted from 100% bamboo, and set up is a breeze thanks the inclusion of all necessary hardware and setup instructions. The game can be hooked up indoors or outside; we have one on display inside our stores, and we’d be lying if we said we didn’t catch ourselves playing quite frequently! At just $29.95, the Tiki Toss will be a backyard hit for kids and adults alike. We have a feeling they’ll go quick, so be sure to get yours today! 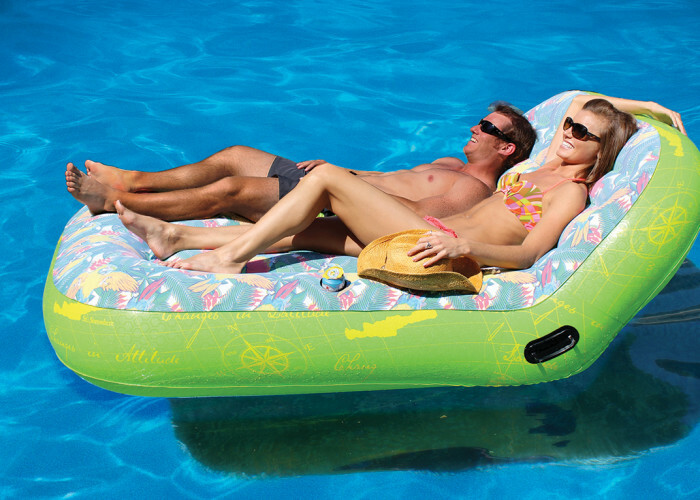 If you’re looking to add the perfect pool floats for lounging, we carry some great products by Margaritaville, guaranteed to give all of your neighbors ‘float envy’ this summer. One of our favorites, the Float and Tote is a floating cooler that features five drink holders, a snack holder, and a removable cooler. The cooler keeps up to 12 beverage cans cold and is constructed from 12 gauge PVC material to optimize durability. 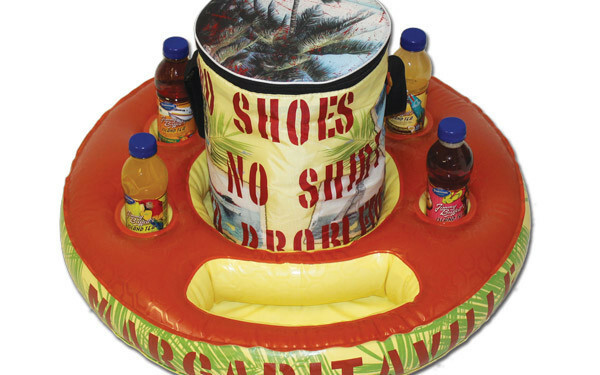 To keep it versatile, the cooler features a connection grommet, so it can be attached to a dock or another Margaritaville product. 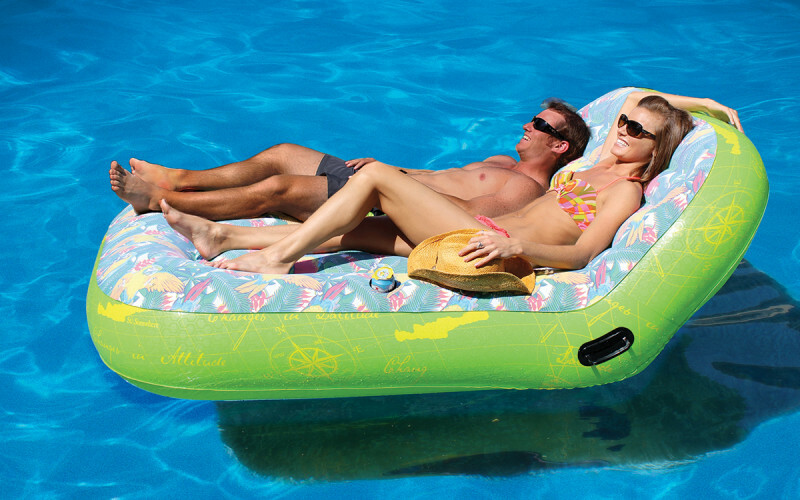 We also carry the Dual Lounger from Margaritaville; it’s an oversized lounger designed for superior comfort with its Comfort Top surface. 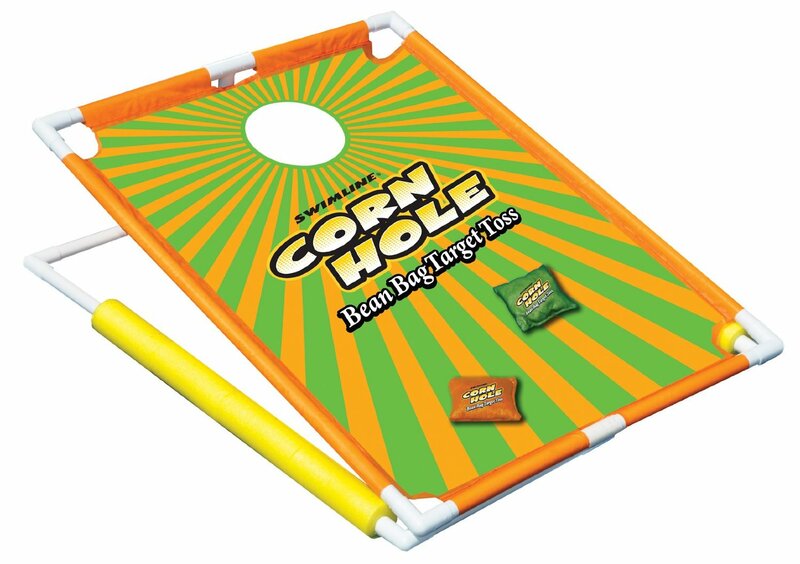 Let’s not forget, what gathering is complete without Corn Hole? Thanks to the folks at Swimline, you can now enjoy the all-American classic game (with a slight twist) while staying cool in the pool. 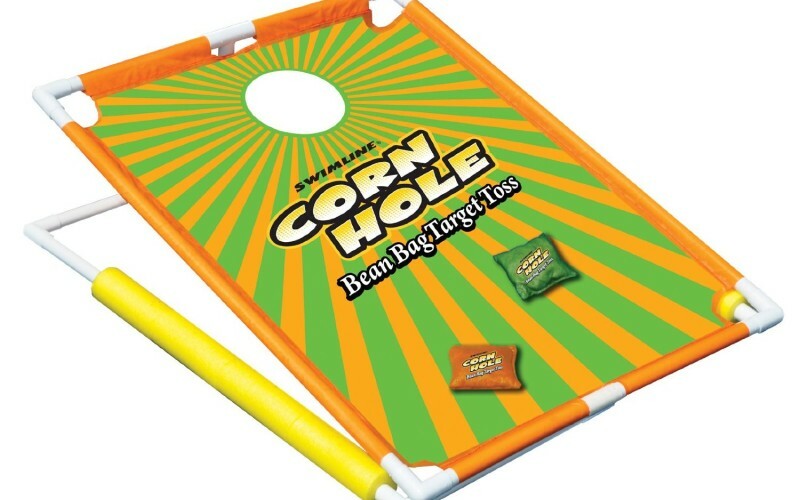 The Corn Hole Bean Bag Target Toss allows you to float and toss your way to fun all summer long. Where to get these awesome toys? We carry all of these products AND MORE at Aqua Leisure Pools. So if you’re looking to add a little fun to your backyard this summer, be sure to visit one of our five locations in Hampton Roads. With a collection like ours, there’s sure to be something for everyone! Don’t forget, while you’re in, you can also get a free water test to make sure your pool water is ready to go!